Did you see the recent article in Forbes? The one in which the number-crunchers drool over the financial successes of hard-right evangelical College of the Ozarks? I can’t help but wonder: In these days of college closings and higher-ed austerity, how is such an extreme school thriving? As I found in the research for Fundamentalist U, it’s not new. As far back as the 1920s, evangelical institutions have succeeded by planting a flag for fundamentalism. It’s like the old joke about the two hunters and the bear. They’re getting chased by a bear, and one hunter pauses to tie his running shoes. The other guy says, Why bother with those shoes? You can’t outrun the bear. And the first hunter says, I don’t need to beat the bear. I only need to beat you. The folks at Forbes aren’t wrong. The rude financial health of the College of the Ozarks really is surprising. As they recount, the endowment-per-student ratio puts CofO at 59 of the 650 schools it surveys, higher than many fancy-pants universities. Its acceptance rate is a mere 11%. Its admission yield—meaning the number of admitted students who end up enrolling—is higher than Harvard’s. Why? As our friends at Righting America point out, it is not because CofO is winning the higher-ed race. Where many schools are improving student amenities and hiring diversity officers, CofO brags about its un-diversity. For example, it claims pride of place as the most LGBTQ-unfriendly campus in America. It mandates patriotic education for its students. It grabs headlines for refusing to compete against teams that kneel for the anthem. People don’t give us money because we’re like everybody else. . . . They give it to us because we’re different. In other words, CofO isn’t trying to outrun the bear. It is not trying to be the best university in the United States. 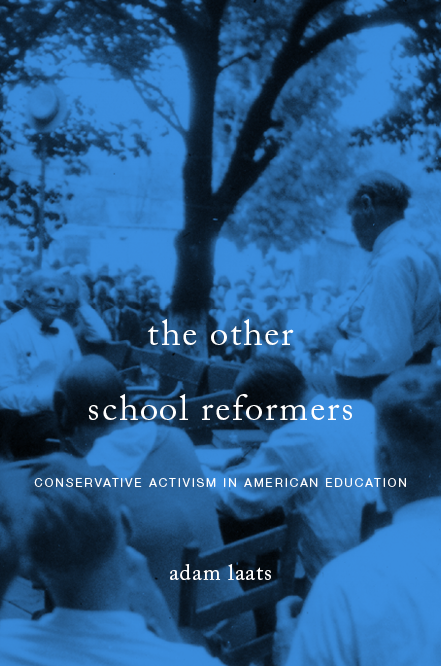 It is only trying to be more radically conservative than the other conservative schools with which it is competing. Such “don’t-have-to-beat-the-bear” success has always been the case for conservative evangelical institutions. When dispensational scholars in the 1920s wanted to found a more consistently premillennial seminary in Dallas, for example—the school that eventually became Dallas Theological Seminary—their single-minded focus on dispensational premillennial theology caused their enrollments to triple in their first six years. Between 1926 and 1947, the fundamentalist Bob Jones College grew from 88 students to over a thousand. And when Wheaton College in Illinois joined the fundamentalist movement in the 1920s its enrollment leaped by over four hundred percent. In 1917, when it was just another small Christian college, sixty percent of its students came from Illinois. By 1938, it welcomed 75% of its students from other states and outside the USA. By declaring itself on the side of the Fundamentals, Wheaton appealed to a much larger national and international constituency. It no longer had to compete against all the other small colleges in Illinois. None of these institutions promised to be the best colleges in the land. They didn’t need to. All they needed to do to bring in tuition and donation dollars was to satisfy a niche desire for safely conservative evangelical schools.